Genuine artists’ canvas, not canvas-like paper, in a 10-sheet pad, primed, and ready to accept any medium. 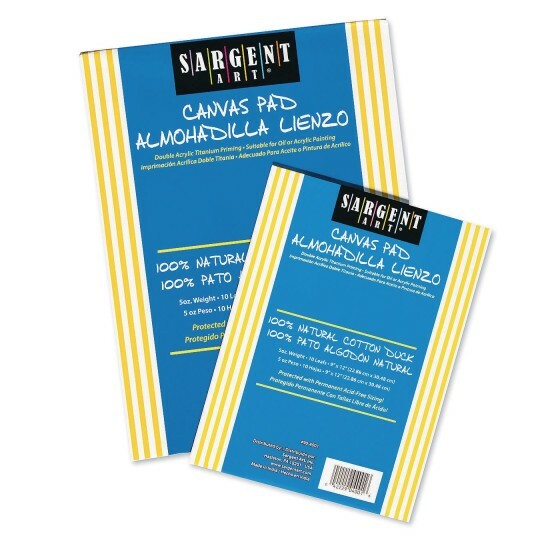 Inexpensive enough to practice on, dependable enough to receive your finest masterpieces. Can be mounted on stretchers or other supports. Natural cotton duck cloth. Acrylic Titanium primed. Acid free sizing. 5oz. canvas weight. Choose from 9” x 12” or 12” x 16”.